Analysts have been increasing the expectations of the Galaxy S6 and Galaxy S6 edge, the last one saying the duo will sell a whopping 70 million by the end of the year. 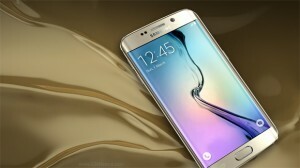 Counterpoint Research has looked at actual sales numbers for April and estimates the S6 will beat the S4 sales records for a total of 50 million units.The Galaxy S5 proved a disappointment in the same April 10 – April 30 period and the S6 surpassed it with 6 million units sold (Counterpoint looked at sales, instead of shipments). Investors were worried that sales might not hit their target and Samsung‘s stocked fell 7.3% in May. Now the Galaxy S6 and S6 edge are behind only the iPhone 6 duo and it’s possible they will surpass them by the end of the year. That hinges on Samsung solving some production issues though. The Galaxy S6 outsold the S6 edge in April – unsurprising given the price difference, but the analysts point out that the double-curved flagship could have sold better if there were enough units to go around.